Lenovo unveils a midrange phablet, the Lenovo K3 Note, which is gunned for the popular Meizu M1 Note. And just as we have expected, this handset is heavily patterned with the latter in terms of hardware capabilities. 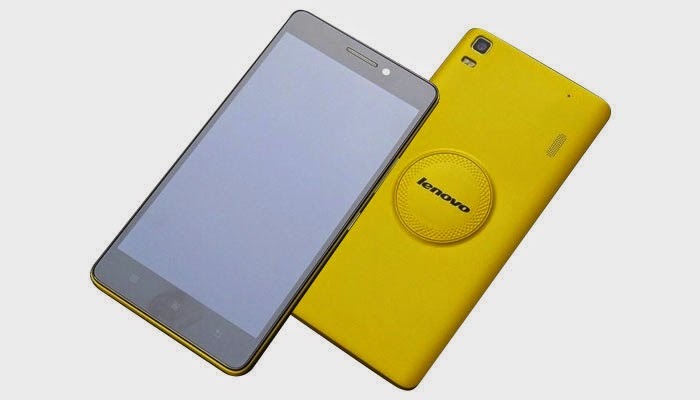 The K3 Note sports a 5.5-inch Full HD display which is larger and better panel than its little brother's, the Lenovo K3. Under the hood, the phablet is powered by a 64-bit MediaTek MT6752 chipset which runs on 1.7GHz octa-core processor and supported by 2GB of RAM. Across the board, there’s a 16GB internal memory which is expandable up to 32GB via a microSD slot. The phone will be equipped with a 13MP main camera and dual-tone LED flash; while the front panel will house the 5MP selfie snapper. Connectivity-wise, the handset has a dual-SIM slot – one for 3G and LTE connectivity, and another for a 2G-restricted module. Good thing about this phablet is that it will be powered by the latest Android Lollipop OS. Its back is also defined by a unique circular bump that frames the Lenovo branding. If you are a heavy user who spends hours in browsing and graphic-intensive games, the device will back you up with its 3000 mAh of juice. Above all the noteworthy specs for a mid-tier device is the amazingly low price of $145 (roughly, Php6500).